Several factors were responsible, not least the club’s success in holding down costs, unlike many rivals. The latest figure compares with a restated pre-tax profit of £51.7 million in 2016-17. Revenues climbed by £71 million to £380.7 million. European receipts – £62.2 million versus £44.6 million – contributed more than £17 million of this advance, while sponsorship and corporate hospitality revenue jumped nearly £33 million to £93.5 million. 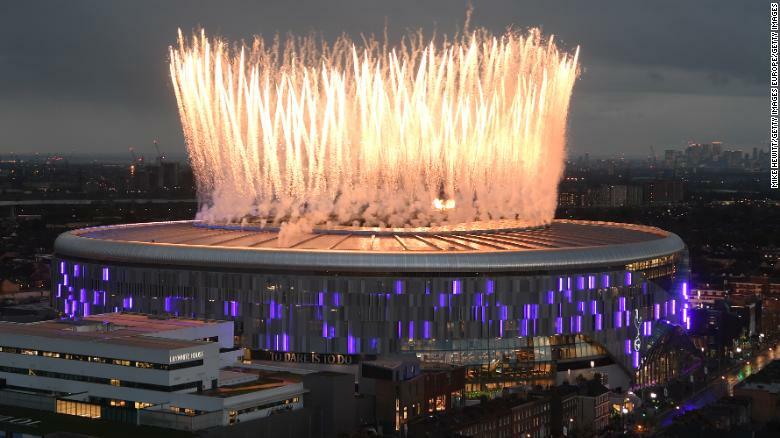 Domestic match day income also surged, with Premier League gate receipts more than doubling to £42.6 million, as a consequence of playing home matches at Wembley Stadium while the club’s new base was under construction. Spurs said an average of almost 68,500 tickets had been sold for every game played at Wembley. The final boost came from player sales, notably Kyle Walker to Manchester City, which yielded £73.1 million, up from £40 million. Again, unlike most rivals, the cash flow statement indicates that Spurs received more from player sales in 2017-18 than they spent – and this for a second year running. But of course the new stadium means that debt has also been spiralling, with the club already disclosing last October that net debt had reached £366 million by the end of its latest financial year. Notes to the accounts now disclose that by December 2017, a bank loan of £537 million had been entered into for the purpose of building the new stadium. At the balance-sheet date, £445.3 million of this was drawn. The notes also reveal that in May 2017, the club agreed a £50 million letter of credit facility with its majority shareholder ENIC. In last October’s statement, the club served notice that trading in 2018-19 would be “impacted by the additional costs of Wembley and the delay to the opening of the new stadium”. On October 18, a £100 million extension to the existing bank loan was agreed. With most debt seemingly repayable in 2022, an interesting period for the club’s financial structure lies ahead. Last October it said it would be working to convert its current facility into notes with a mixture of debt maturities. While payroll costs climbed from £126.9 million to £147.6 million, remuneration received by the highest-paid director was cut in half from £6 million to £3 million.